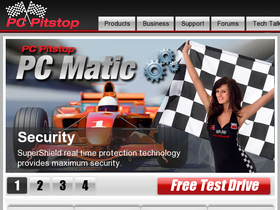 Visit PC Pitstop online at PCPitstop.com for diagnostic tools to diagnose PC problems. PC Pitstop opened its doors to the public in March 2000 with the vision of creating a better way for people to diagnose and fine tune their PCs. The foundation of the site is to use their online diagnostics to quickly and automatically diagnose the most common PC ailments. Save money with PC Pitstop discounts, PC Pitstop coupons, PC Pitstop promotions and PC Pitstop savings from 58Coupons.com. Get your free privacy scan with PC Pitstop Erase from PCPitStop.com.